I rode the 25" one on the weekend. Can't vouch for any comparisons against the new Sprint, but with 115kegs on board I was easily able to hold 9km/h upwind (15km/h wind) at about 75% effort, followed by the return downwinder at well over 10-11km/h again at 75%. This was on a lake by the way, I've not ridden it in anything with any lumps in it. you guys are lucky to test these skinny new boards. down here in vico we have to wait for them to roll up on demo days. Lots of pics up on all 4 of these boards on Fanaticsupaustralia Face Book and Instagram. I'll post up here later when I have time and give a review on each board. 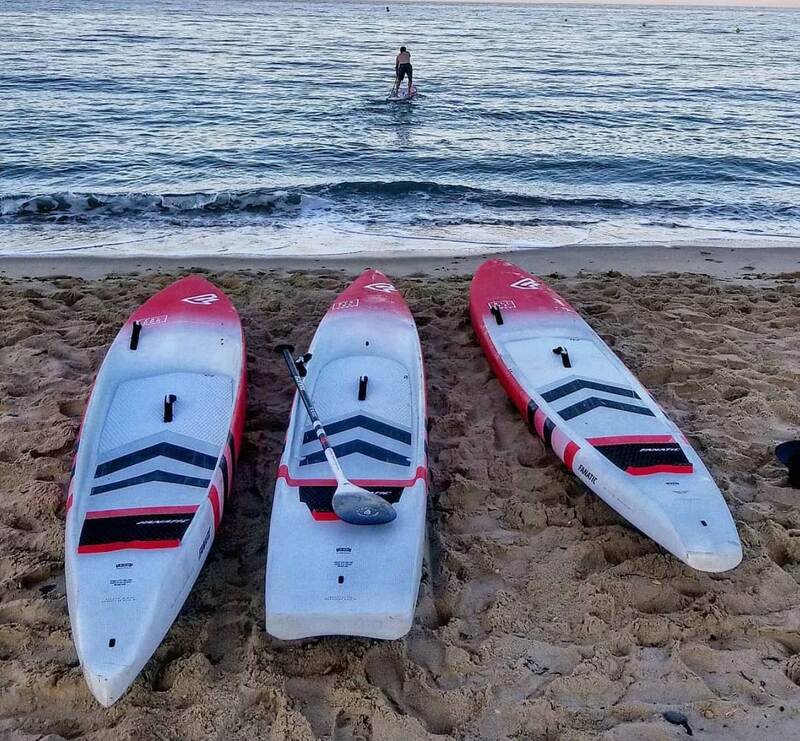 The top shot was from the international dealer meeting held recently in Tarifa and the shot with the labels is taken on Sydney's Northern beaches at Pittwater after we'd been testing the boards for a week. Yep, we got to test them here before the team overseas. Tim Cyprien has got the 21.5 Strike and the Blitz in Queensland and I've got the 24.75 Falcon and 25 Strike here in Sydney. First shipment arrives very soon. 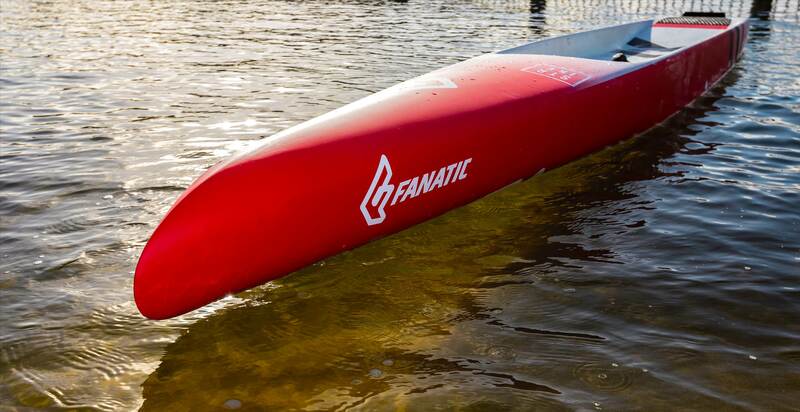 As you're aware the new Fanatic Strikes were launched earlier this month with the other models being leaked with some of our photos. Contrary to some of the comments I read on Sea Breeze a year ago, Fanatic hadn't left the race board market. They actually decided to expand the range but spend a good 2 years getting things right. While I've ridden for Fanatic for over 7 years I'll be as unbiased as I can with my comments here. 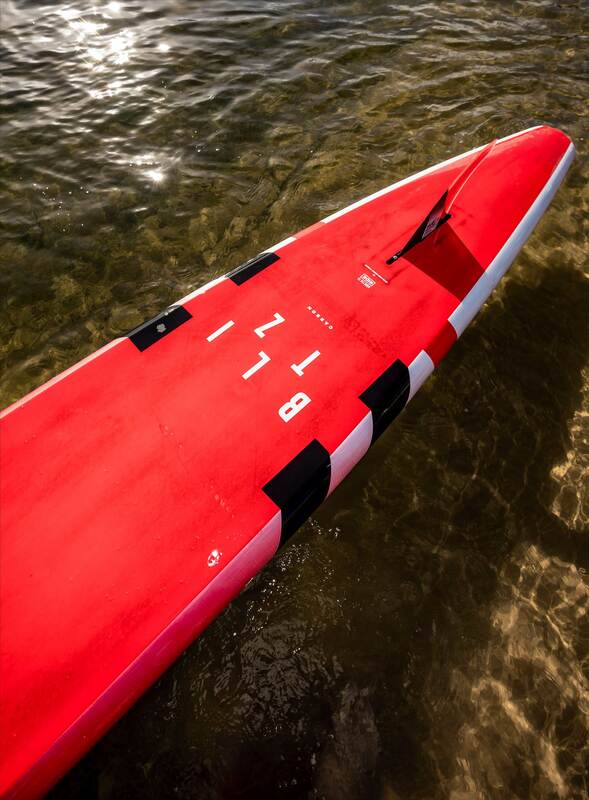 We tested two of the new Strikes extensively last month on both flat, choppy and ocean conditions. We tested the 21.5" and the 25". 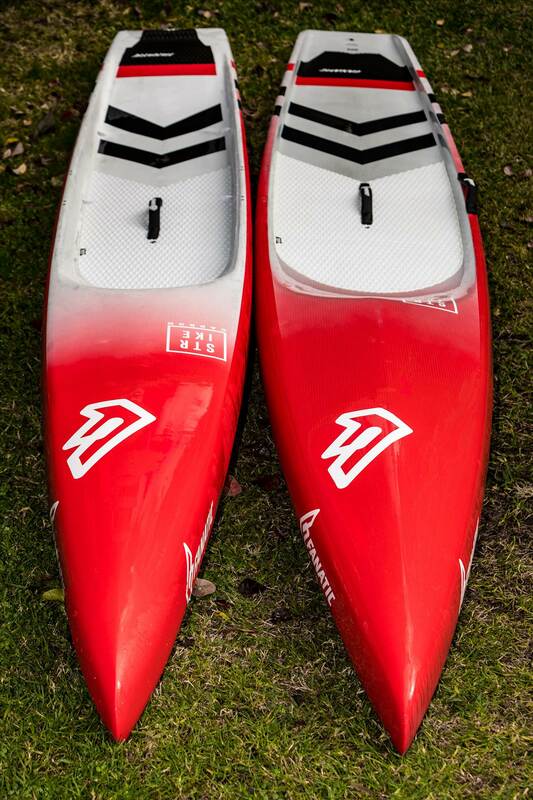 While both flat water boards these are two very different boards. STRIKE 21.5" VOLUME 274 LITRES. 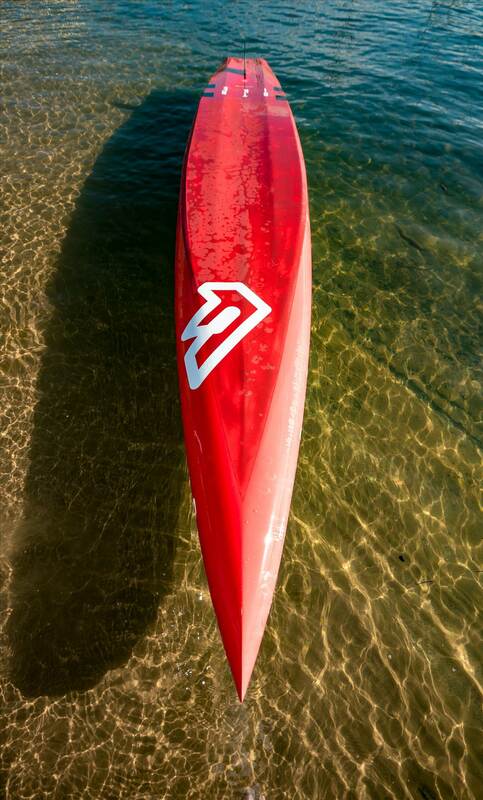 The Strike 21.5" is thin and fast and will suit the flatwater specialists out there. At 21.5" it was surprisingly stable. Tim Cyprien even raced it in the technical race in Queensland a couple of weeks ago. The Strike gets progressively more stable each year, however, I felt last year's board lacked volume. The previous Strike 24" had a volume of 250 litres while this new 21.5" has a volume of 274 litres. It's pretty much proven now that a dugout provides more stability with it's lower rider centre of gravity and the Strikes have both gone this way, however, to different degrees. The 21.5" is a full dugout with a raised tail and drain holes. Underneath, concaves have been added for stability and speed, something the team have been requesting for a while. 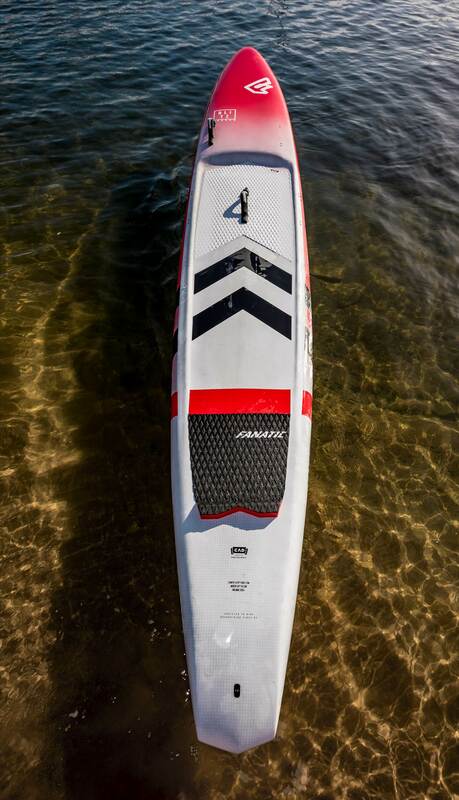 In testing we found this board to have excellent glide between paddle strokes and it handled moderate chop very well for a specific flat water race board. It was also very easy to use when wash riding beside and behind other boards. 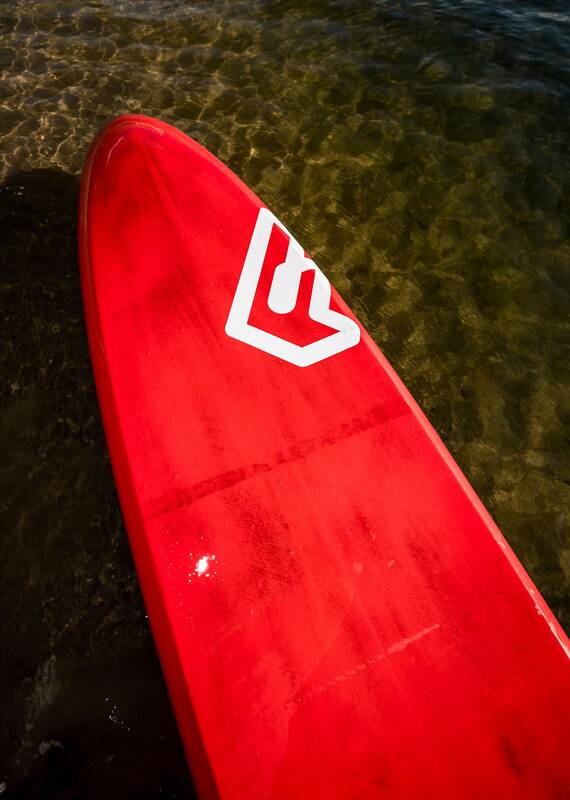 Whether or not this board suits you will depend on the conditions you paddle in. 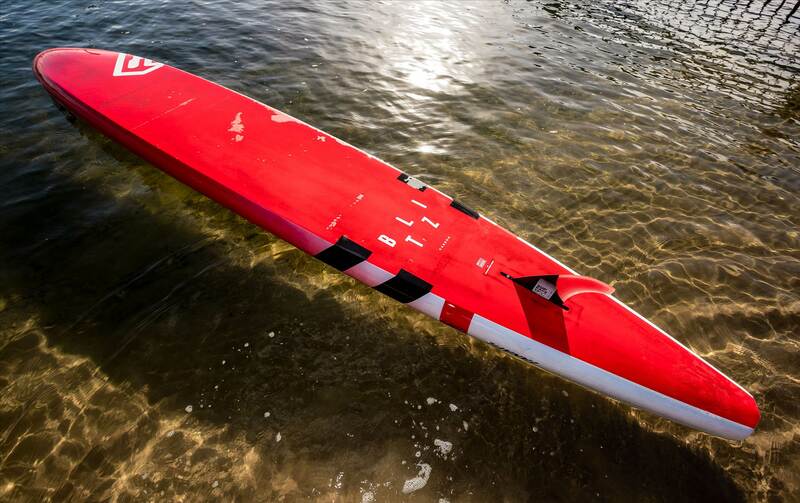 It is a thin race board and is aimed at the serious racer. 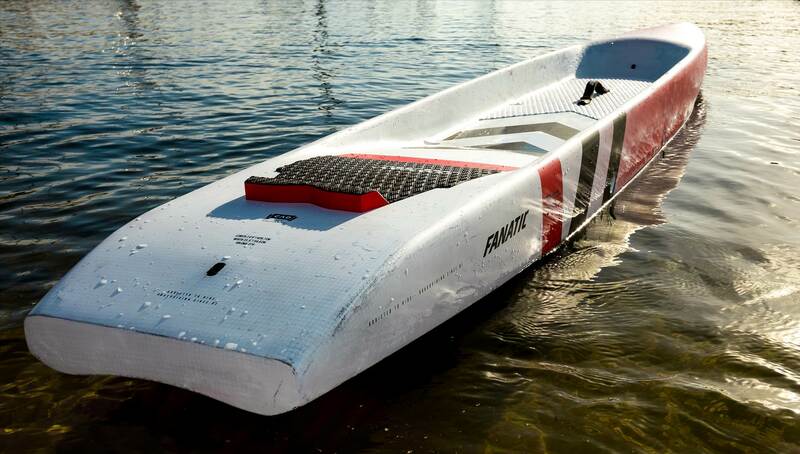 For me it will be my specific flat water board that will give me more confidence when racing. STRIKE 25' Volume 298 litres. This was the surprise board for not only Chris Cross and myself when testing, but also the wider crew who managed to get a paddle on it. 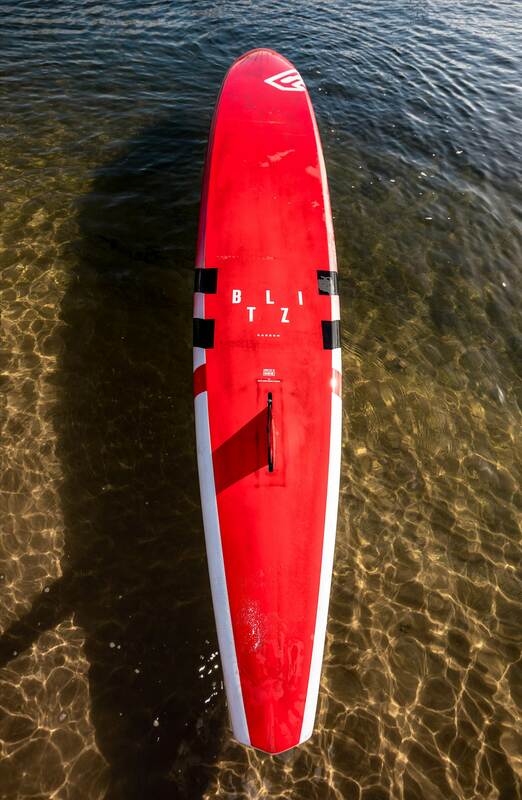 In the past, my 24.75" Falcon has been a great bump, downwind and chop board, however, it has let me down in those races where you experience those conditions as well as a significant amount of flat water. My old 24" Strike has been great on very flat water but I struggle a bit in turbulent wash. This new 25" strike at 298 litres provides an unbelievable amount of stability yet is still very fast. 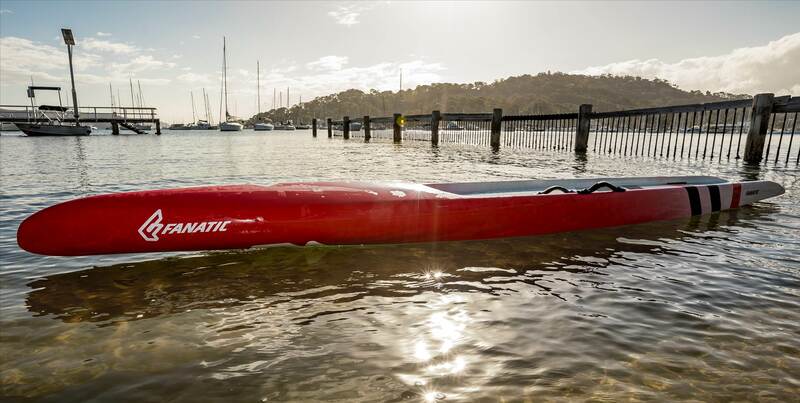 This will be the board I use in most of my races this year: Bridge to Beach, Pittwater and Sydney Harbour races and on courses like the Nationals in Qld that involve flat water as well as bumps. Basically any race where I know conditions will vary. We tested this in a variety of conditions. We paddled it in ocean swells, close to choppy headlands, in flatwater glassy races and in wind directions hitting the board from all angles. In the past I've tended to start wide on race lines where I experience less chop and I can set my own pace. 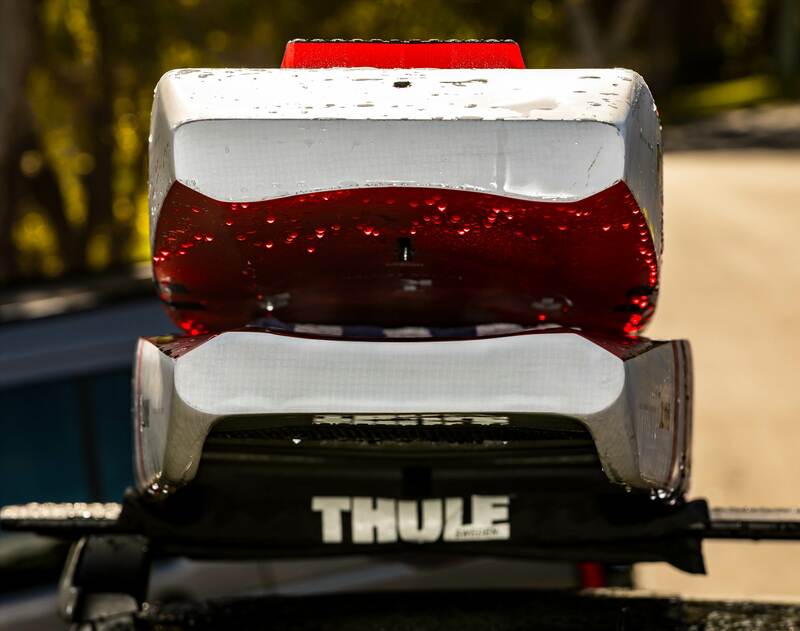 With this board I can put myself in the thick of things on the start line as it loves to wash ride and due to its stability I can really put the power down in choppy and messy conditions. Everyone who paddles this board is impressed and I can see it being a strong seller at retail level. 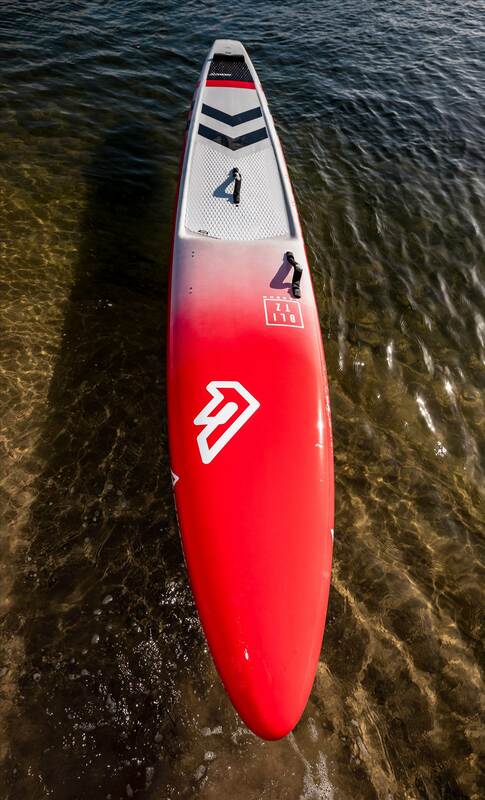 The tail on this board is open unlike the 21.5 and the paddler sits a little higher as it is not as dugout as the 21.5. It also has the chined rails. 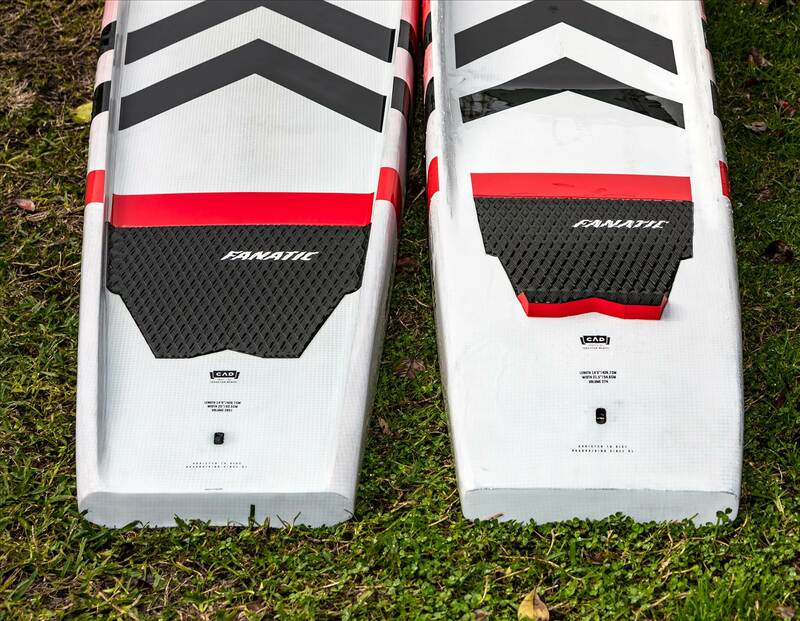 Starting out with a double concave at the bow to deliver a smooth, efficient glide, the hull soon blends into a deep monoconcave for tracking and stability. We found this board to accelerate extremely well and handle a variety of conditions. Aimed at riders over 85kg, this board fulfills a demand that Fanatic have not catered for as much as they could have in the past. Everyone who rides the new boards is excited, however, I always take everything I read on Sea Breeze with a grain of salt so remember these are just my thoughts. The best way for you to see what these boards are really like is to demo them when they arrive in the country shortly. See how they feel under your feet and let that be what influences you. My plan here was just to explain some of the basic changes and let you know how Chris and I found the boards when we tested them. Thanks NNSUP for the infos. When will we hear about the other boards in the range? Blitz 14' x 24" 293 liters .... I guess this is essentially a new take on the Falcon since the that board is now a dugout. I have about 15 miles on the Blitz and I really like this board... I think it's noticeably quicker out of the gate, has an easy initial pull and I think it's because of the nose, it is lifted and a different shape than the Falcon. I was surprised cuz looking at it there's quite a bit of nose and tail rocker, but it glides quite well and has excellent speed on flatter conditions. 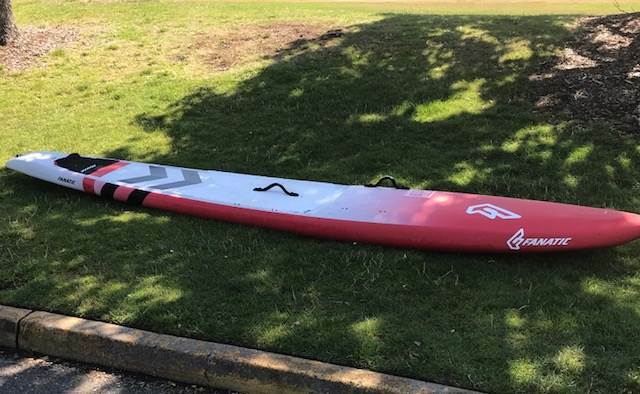 I think this could be a great one board solution for someone looking for a workout board and something that will excel in down wind conditions. This will be a great all rounder. Comments added on the other thread as well. A few photos of the 24" Blitz. I've been asked previously but I don't understand why this is the Blitz and the dug out is the Falcon.? I'm not involved in marketing but it is a little confusing. Regardless, the general consensus is that the new shape is more stable and seems to run better than the previous model. I have the 21.5 Strike and 24.75 Falcon 2019 as well as a 2017 Falcon. Loving the new strike and using it as an everyday board due to its stability, the wide tail and outline gives the impression its width is much wider than 21.5, glides well and suits my local ocean conditions which are mostly light wind affected chop. 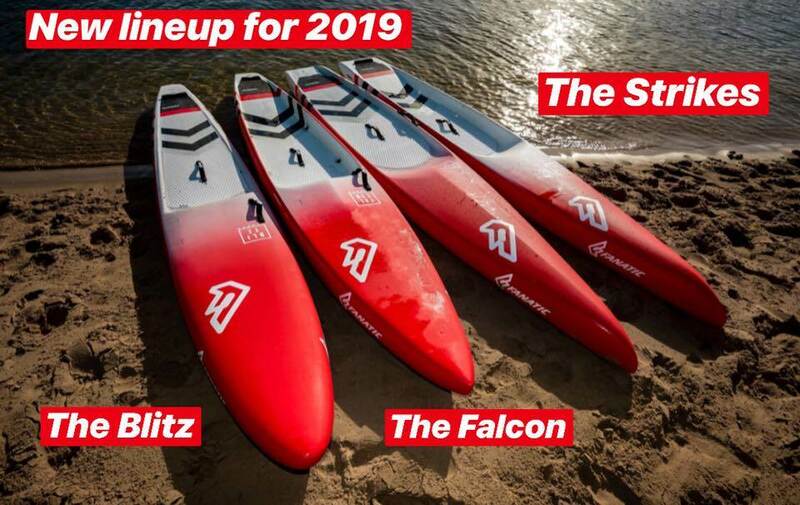 Ive been looking at dugouts for a while now and jumped on the new Falcon as soon as it landed in the shops, so far i have been impressed by its flat water and small wave downwind speed and thinking this is due to the rocker line which seems to be much flatter that the flat deck 2017 falcon and flatter than other dugout downwind boards. The ramped deck, tail shape and tail pad allow for surfing much better than other dugouts i have used and am thinking this is sort of an allround dugout board? ?, Its surprisingly quick in the flat too and much faster than the 2017 model. The nose cuts a lot better too with its slight point to rounded profile as oppose to the 2017 rounded nose. Interested in your feedback on the Falcon. The team riders were a little surprised when it arrived. We were expecting something with a rocker line more like the ACE, however, it seems to be more like the new NSP Carolina thus making it a a great all round board. I ended up sticking with the two Strikes 21.5" and 25" and grabbed a 26" Blitz as my ocean board. I really wanted the dug out as well but how many 14 footers can you really have? When I rode the Falcon it was certainly fast. Good luck at Nationals. I have a sick family member so can't manage to get there this year. Unfortunately Rob training isnt possible at the moment. I may even move to foiling instead. It seems all the cool kids are doing it.